Fruit thinning is important with Asian Pear varieties. They often develop more fruit than the branches can physically support, so thinning will help relieve the possibility of breakage. Also, allowing too many fruit to develop results in great numbers of small and poor quality fruit, so thinning the young fruit gives the remaining fruit more nutrients and light, and consequently higher quality fruit. Lastly Asian pears that over produce fruit in one season may not produce at all the next season. 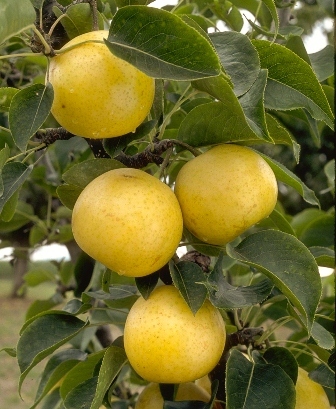 Thinning helps maintain annual fruit production.